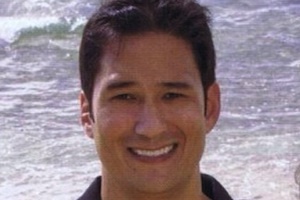 Pepperdine alum Scott Wong has been named the Waves’ new head women’s volleyball coach. Wong, a 2001 graduate, was a three-time All-American for the Pepperdine men's volleyball team from 1998 to 2001 before serving as an assistant coach for two legendary volleyball instructors. He first assisted Marv Dunphy on the Waves' sideline for four men's seasons between 2005 and 2009. Since 2010, Wong has been associate coach for Dave Shoji and the Hawaii women's volleyball squad. Shoji is the all-time coach with the most wins in NCAA Division I women's volleyball history. Wong's coaching experience also extends to the sand, where he has led the Rainbow Wahine sand volleyball team since its inception in 2012. "I am so excited that Scott is returning to Pepperdine to lead our women's volleyball program," said Potts. "Having positively impacted Pepperdine athletics as both a student-athlete and assistant coach of our men's volleyball team, Scott will now do the same for our women's volleyball team." Wong is now the fifth coach in program history, following Patti Bright (1975-78), Gary Sato (1979-82), Nina Matthies (1983-2013) and Troy Tanner (2014). As a player, Wong was a three-time All-American and four-time All-MPSF performer. In 1998, he was tabbed the Freshman of the Year by both the AVCA and MPSF. He remains one of the top players ever at Pepperdine. Wong holds the program's record with 807 career digs, and ranks in the top five in aces (4th, 140), kills (5th, 1700), and fifth in total points. Wong grew up in Pearl City, O'ahu, and played his high school ball at Punahou School in Honolulu. The University of Hawaii Rainbow Wahine enjoyed tremendous success during Wong's coaching time with the program. UH won four league titles and advanced to the NCAA Tournament all five seasons with Wong on the sideline. Hawaii reached as far as the regional semifinals in 2011, losing a tightly contested match to USC. The 'Bows just recently concluded the 2014 season with a 22-7 record after reaching the second round of the NCAA Tournament. Wong also served as head coach of the Hawaii sand volleyball team from 2012-14. He guided the 'Bows to a 30-17 record across three seasons. The Rainbow Wahine earned their first bid as a team to the AVCA National Championships last spring, upsetting top-seeded USC in the quarterfinals before falling to Florida State in the semifinals. Prior to joining the Hawaii coaching staff, Wong assisted Coach Dunphy and helped the Waves win the 2005 NCAA Championship, its fifth NCAA title in program history. Pepperdine swept Ohio State in the national semifinal before rallying from a 2-1 deficit to defeat UCLA, 3-2, in the championship match at Pauley Pavilion, capping off its 25-2 season. In Wong's four seasons at Pepperdine, the Waves won two MPSF Tournament Championships and made three NCAA Tournament appearances. Wong has coached his fair share of AVCA All-Americans. With UH, he saw Kanani Danielson and Kanoe Kamana'o named to the first team, with Emily Hartong, Brittany Hewitt, and Jamie Houston all earning second team honors during their careers. In the sand, he's mentored Jane Croson, Katie Spieler, Nikki Taylor, Brittany Tiegs and Karissa Cook to All-American status. On the men's side, Sean Rooney (2005), Jonathan Winder (2007) and Paul Carroll (2009) won the AVCA National Player of the Year, with Andy Hein and Kasey Crider also garnering All-America honors. "I'm excited about the team, the relationships and the community," Wong said "I'm eager to begin building on the foundation the coaches who have been there before have laid."